On tight budget when playing vanguard and need a new deck? Don't want to play something that is too mainstream on the meta? Before showing you the deck lists and recommendations, It is important that we recognize the current decks that are dominant in the metagame. Nuff said... Too many variants with the clan builds with the different supports that are all coming at the same time. From Crossrides to Breakrides. 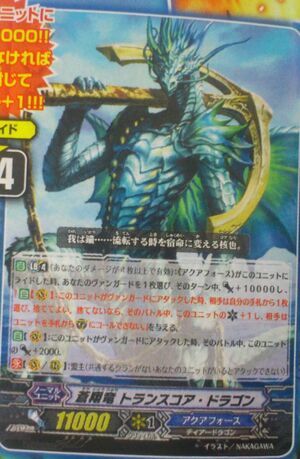 [AUTO](VC) Limit Break 4 (This ability is active if you have four or more damage):When a «Angel Feather» rides this unit, choose one face up card from your damage zone, put it into your hand, and put the top card of your deck into your damage zone, and choose one of your vanguards, and that unit gets [Power]+10000 until end of turn. [CONT](VC):When this unit attacks a vanguard, this unit gets [Power]+2000 until end of that battle. While we anticipate for the upcoming supports, here are some decks that i will recommend that will not only save the pennies on your wallet, but also somewhat competitive and playable in the current metagame while waiting for the next wave of cards.